Home USA Online Casino Blog Industry Insights Can Robots Replace Casino Dealers? It would be hard for anyone in the gambling industry to have missed the recent debates surrounding the cost of maintaining and employing live casino dealers both in real-world and live online casinos, and the possibility of robot dealers keeps rearing its ugly head. While this may be the ideal solution to the mounting expense of dealer salaries, many players are still not happy about the idea of robots dealing for them. It seems that automation is not likely to be brought into the mainstream anytime soon. Despite this, there are already moves within the industry looking to bring robots ever closer to an everyday reality, and it is no wonder when the cost of recruiting, training, and paying casino dealers is taken into account. Anyone who has cruised on one of the larger Royal Caribbean ships may well have seen the robotic bartender who mixes drinks for travelers, creates customized cocktails and provides a little dance-themed entertainment. The Tipsy Robot, as it is known, has now been introduced in Las Vegas, and it appears to be the first step toward initiating punters into the world of robotic workers, thus preparing the way for nonhuman dealers to be introduced into casinos. The idea was a major discussion point at the G2E (Global Gaming Expo) Asia in 2017, where future developments for casinos were being showcased. With the 150 percent increase in dealer salaries over the last 10 years, casino owners are now keen on finding an alternative that is more cost-effective. The Expo appeared to be the perfect time to suggest that some table games in markets, such as Macau, could feature automated betting together with a human dealer to settle bets. 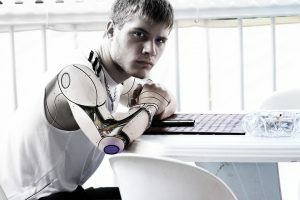 Although automated robot-dealing arms are being experimented with at present by several manufacturers, opinions are still divided over whether robot dealers could appeal to the wider gambling market. 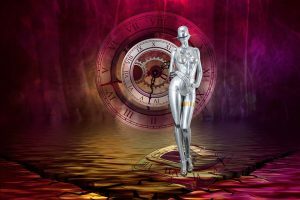 While the industry seems fairly willing to accept a certain element of robot intervention in table games as time goes on, there is still a lot of doubt as to whether they could ever dominate the industry and take over from human croupiers. For example, Chinese players especially enjoy the challenge of trying to out-do a live dealer in order to obtain more control over their game. This element would be destroyed in the event of their only being a robotic dealer. IGT Plc (International Game Technology) highlighted the fact that live dealers have an essential role to play when it comes to player entertainment in a casino. The human factor is still very important, which is why live online casinos are becoming so popular. Punters seek to re-create that brick-and-mortar experience of human interaction. While a robotic dealer may well be able to deal the cards twice as fast as a human one, would it still be a fun experience to play at the table? Players want to take their time and not race through a game, doubling the number of hands each hour. 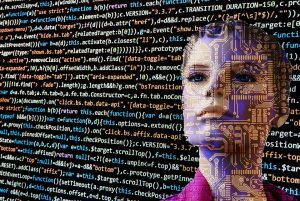 The idea of being able to hold a friendly banter with the dealer would also potentially be ruled out by the possibility of a robot dealer, at least until artificial intelligence takes some leaps forward. 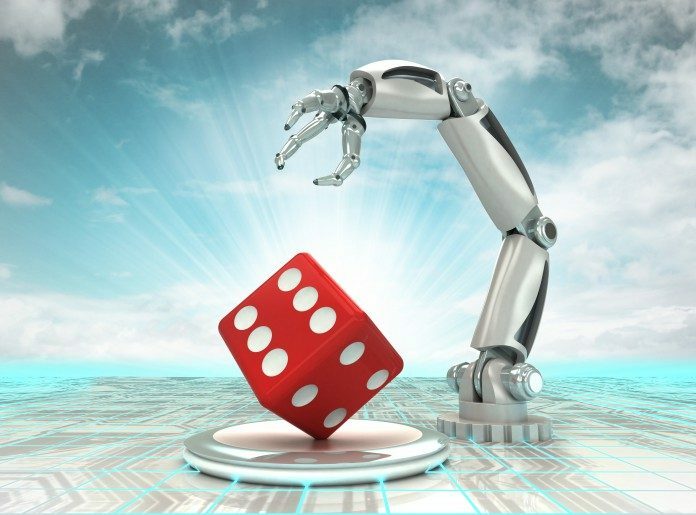 Although there is already some robot technology in existence in some gambling markets, there are still a lot of questions over whether casinos are currently able to fully embrace this new technology. The market seems unlikely to accept it in a more wholesale format and, at the moment, it is not clear whether the essential economics are in place for the advent of robotic dealers. Yet, while the general consensus appears to be that, although replacing all live dealers with a robot alternative cannot yet be considered to be a feasible option, they could be a useful stand-in on a temporary basis for a live dealer. This raises the possibility of live dealers being in place for certain times of the day, with a virtual dealer being in place for quiet periods or after hours. This would help to mitigate costs for the casinos and reach a compromise with the players on their needs and preferences. Yet, while the possibility of harnessing robotic technology looks promising for casino operators, it is also vital to remember that any machinery of this type would potentially be vulnerable to hacking and misuse. This could lead to problems for the industry. Care would need to be taken when developing software to power these robot dealers to guarantee that they were safe and as invincible as possible. 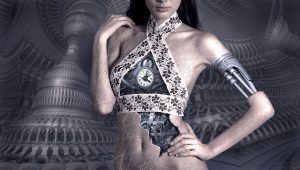 Paradise Entertainment in Macau has already developed a robotic dealer prototype and hopes that it will be able to introduce the product in the American states where human dealers are actually forbidden. This technology is presently being used in New York’s Resort World Casino where electronic games are used to circumvent the laws that ban human dealers. At the moment, the robot can only deal cards, but there is talk of improving the technology so it will be able to recognize players’ faces and speak in several languages. From there, there is the potential to hone the technology even further to allow robotic dealers to be able to convincingly play against punters and to settle split pots. There have even been reports of a robot dealer from Hanson Robotics that has a moveable face and is more interactive in its abilities. There is a good chance that this technology will soon be improved to allow for small talk, laughing, and the ability to congratulate successful players on their win. While, at the moment, the early response has generally been pretty cool toward robot dealers, it will be interesting to see what happens when players lose their tempers after losing a hand. Will they give the robot the same kind of verbal abuse as a human croupier, or would that problem be eliminated by the lack of a human element? As casinos would benefit from a reduced incidence of dealer error, it seems that there could be hidden benefits, as well as more obvious ones in opting for more robotic croupiers. Will Human Players Be Comfortable with A Robot Dealer? Although most people are interested in watching robots, they aren’t too keen to interact with them, especially those that look like humans. Yet, despite that, there is a possibility that inexperienced players who would rather make their mistakes in a less-humiliating environment might actually seek out robot-gaming tables rather than risk playing with a human dealer. Overall, while it seems unlikely that tech companies and casinos will completely abandon their plans to put robot dealers in place on the gambling floors of the world, it is unlikely that the change will happen overnight. Indeed, it could be quite a long time before replicant roulette becomes commonplace. This is certainly good news for all casino dealers out there who are no doubt worrying about their long-term job security.